The Winner's Curse was everything that I was hoping it would be. First of all, the audio narration was fantastic! I can always tell almost immediately whether I am going to enjoy a narration by how quickly I am able to connect w/ the characters and be drawn into the story. This was certainly one of those times that it worked. Justine Eyre brought that something extra to the story, it wasn't simply narrated, it was performed. Each character was immediately recognizable by tone and even accent, and the setting & atmosphere were beautifully expressed so that I felt completely immersed in this world. Of course, Eyre's job was made much easier by Rutkoski's beautiful and expressive writing. From the very beginning, this fascinating world slowly came to life with all of it's political intrigues and society's unwritten rules. It almost felt like historical fiction in the way that the society was structured. It's always fascinating to read about how a conquered people and the conquering people attempt to coexist and the constant struggle for control. 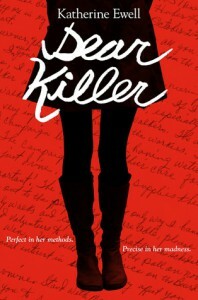 I enjoyed that Kestrel was not a "perfect" heroine but felt genuine which made it that much easier to connect with her. I thought that most of the characters had depth and personality which was even more pronounced with the excellent audio narration. The building friendship between Kestrel and Arin was sometimes obvious but was still believable. I definitely enjoyed the slower pace of their relationship, how they came to understand and respect one another before exploring other emotions. The slow pacing of The Winner's Curse never once caused me to lose interest, it just pulled me deeper into the story, allowing me to get a better understanding of the world and the people and their motivations. I am never happy with a cliffhanger ending but I have to say, this one didn't detract from my overall enjoyment of the book as will so often happen. I actually liked the way it ended BUT I am simply dying to read the next! 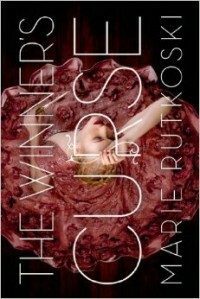 I would recommend The Winner's Curse to anyone who enjoys epic fantasy or historical fiction since it has elements of both but isn't entirely one or the other. I also very highly recommend this in audiobook format! I always say that when the right story has the right narrator, it is a special kind of magic, this is definitely one of those times. As soon as I opened this package and saw this fantastic cover, I knew that Blood Guard was a book for my 12 year old son, Damian. And I was right, he LOVED it! So much so that he’s already loaned it to his friend to read and he's recommended it to his middle school librarian as something he’d like to see on the NC Battle of the Books list next year. He was a little unsure about how to put together a review so I made him a kind of worksheet or template with questions for him to answer. He did a great job! Blood Guard was wicked cool! It was full of action and adventure and plenty of surprises. 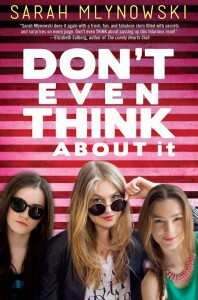 The main characters were Ronan, Greta, and Dawkins. My favorite character was Dawkins because if you killed him, he would come back to life! How awesome is that? Ronan wants to become a Blood Guard so that he can help to protect the Pures but he has a hard time becoming part of that society. The Pures were special people who were super important to the world or could trigger major events. The bad guys were trying to get rid of the Pures. They had this thing they could look through and tell if someone was Pure. The Blood Guards had something like that too so they knew who to protect. I was so mad at the bad guys but I can’t say why because it would be a spoiler. 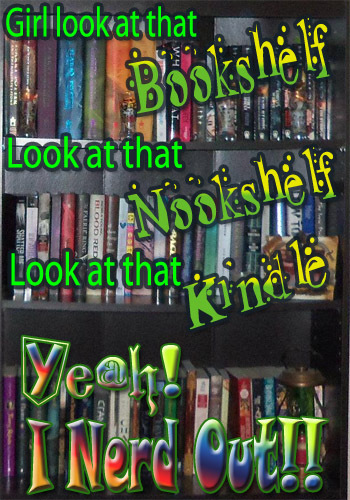 I can’t think of any other books, TV shows, or movies that was anything like this. That’s one of the reasons I loved it so much, it wasn’t like anything else! The fantasy world is pretty much like our world but with a lot of things that our world don’t have. I wouldn’t want to live there but I wish I could have been there when the Blood Guard infiltrated the enemy base! I would have fought right beside them to protect the Pures! I would definitely recommend Blood Guard to other people. This book was so good, I couldn’t put it down! I read it EVERYWHERE. I read it at home. I read it at school. I read it between classes while walking through the halls (and even ran into people or walls once or twice). I read it on the school bus, at breakfast and at lunch. I took this book with me everywhere I went until I finally finished it. If I could say one thing to the author, I would say send me the next book already!! If I could say one thing to a parent thinking about buying this book I would say to get it. 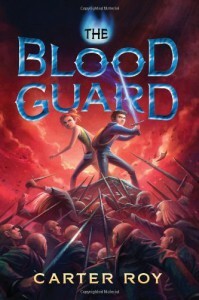 If your kid likes adventure and excitement, your kid will love Blood Guard! I keep trying to tell my mom to read it because I think she would like it too. Don't Even Think About It -- Trust me, I won't. Messy. That is the word that comes to mind when thinking about this narration. I'm not necessarily blaming the narrator. I think that the plot & POV is so jumbled and scattered that the best it can aspire to be is Messy. Too bad. The summary & premise seemed like it could have been fun. When I first read the summary, it seemed like possibly a teen girl version of "What Women Want" - not so much. My advice if you're considering picking this one up - See the title. I'm Nerdy & I Know It! 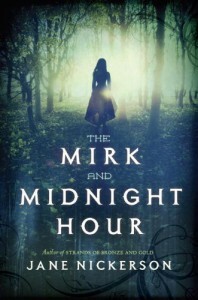 The Mirk & Midnight Hour - fantastic audio narration! I have many mixed feelings about this book, parts of it were unbearably slow, parts were a bit too farfetched for my taste, and some parts I truly enjoyed. But the audio narration was EXCELLENT. 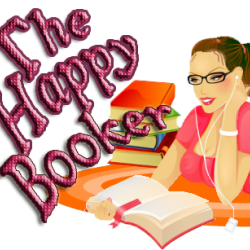 I will be adding Dorothoy Dillingham Blue to my list of favorite narrators. 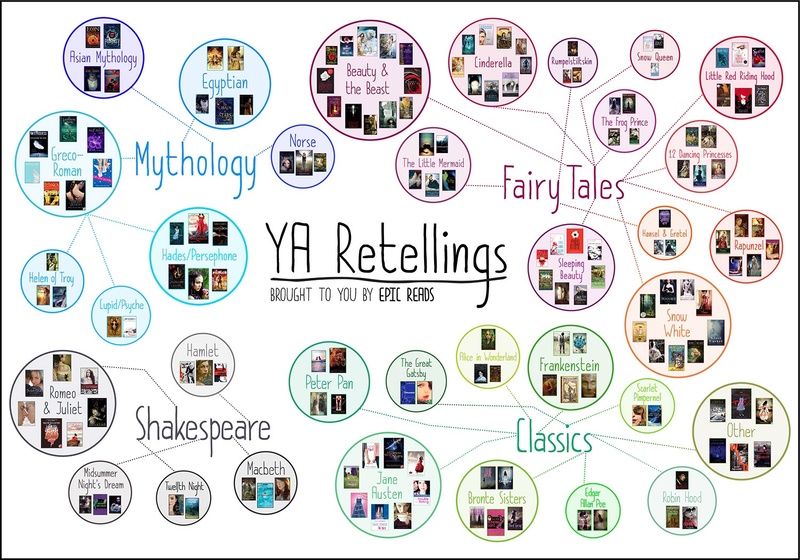 An Epic Chart of 162 Young Adult Retellings from Epicreads! I just put together this review-writing worksheet for my 12 year old son. I can't believe they don't make these kids write book reports any more! It's crazy! It makes me worry for the next generation of writers. Thankfully, my son has inherited my love of books, now I want to encourage him to write as well. Anyway, any input is welcome and appreciated!! If you think some things could/should be changed, added to, etc please feel free to comment and let me know! Which characters did you like best and why? Who was the villain or bad guy? What did you think of him/her/it? What were some interesting things about that place? Would you want to visit there/live there? How is it similar where you live? How is it different from where you live? What is the story about, what is the main character trying to do? What are some problems he or she faces? Did you like the story and why? What do you wish would have been different? Was it easy to read? Exciting? Did the story grab you right away? Did it get slow in parts? Was there a lot of action? Are there other books, movies, TV shows that this book reminded you of? If you could give this book a theme song what would it be? If you could say something to the author, what would you say? Beautiful cover, beautiful writing, fantastic world building, authentic characters, and an outstanding audio narration. I'm really going to need Ms Rutkoski to get #2 out ASAP! I've read a couple very very similar books which didn't bother me since it's a fascinating premise each time it's done. 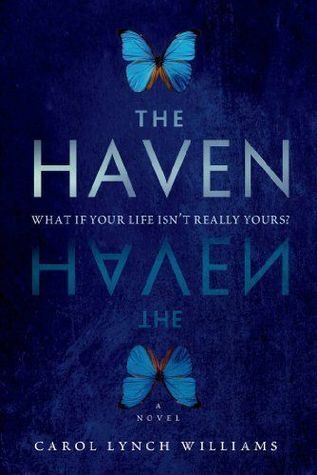 However, The Haven was not quite as cohesive as those others and I was disappointed by the often jumbled and confusing plot and inconsistent characterization, especially nearer to the end. I actually really enjoyed the story but the execution fell short of what it could have been. I loathe the MC AND her mother, the plot is absurd, and I'm done trying to force my way through this book. Landry Park takes place in a future society that relies heavily on nuclear energy and have separated into a rigid class system. The lower classes, or Rootless, are required to maintain the energy sources and are constantly exposed to radiation which keeps them sick and weak. The MC Madeline is of the highest class, her family being one of the most prominent and her ancestors actually responsible for creating this system in the last war. Madeline wants nothing more than to go off to University but unfortunately her father is adamant that, as his heir, her first duty is to the estate, and that means marriage and babies. But the only boy she can even think about seems to be out of her reach. So there were a lot of things going on in Landry Park, regrettably not much of it held my interest. The audio narration was mediocre at best. I think that perhaps with a different narrator, I may have connected more with the main character. I could tell that the writing was actually very nice but when read with very little inflection, it all became a bit stale. I didn't completely understand how this class system came to be or how this society decided it was a good idea to expose large portions of the populace to radiation. There were times when this book almost felt like a historical fiction in the way that the classes were separated and the way each class viewed and interacted with the other. That was particularly well done and was one of the better aspects of this book. The "romance" did not feel the least bit authentic, the love interest was inconsistent and hardly likable at all. Also, I thought that the plot twist near the end was over the top and really took the story in a strange direction. 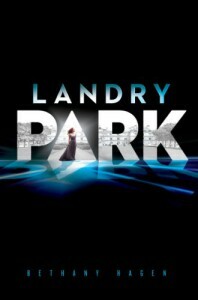 Overall, I would consider Landry Park to be an okay read but if you're planning to read it, I would probably wait to grab it from the library. However, it's getting pretty good reviews from other readers so maybe it just wasn't for me. 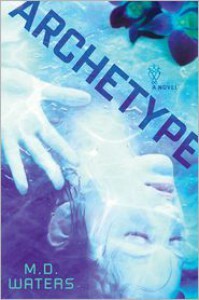 Archetype is a mix of several genres- sci-fi, dystopian, mystery, and most of all suspense. Nail biting, fist clenching, teeth grinding suspense. This author certainly draws it out too. Hints and clues and secrets, all of the answers so tantalizingly close but didn't quite get there until I was ready to chuck my Nook out a window. I'm so glad I didn't because the answers were well worth waiting for! Wow, what a twisty, turny, mind bending story! Emma, the main character, wakes up one day in a hospital with absolutely no memories of who she or anyone else is. Declan is the man who says he is her husband, and he certainly behaves like he is, always treating her with care and kindness. While her days are spent getting reacquainted with her husband, her nights are often interrupted by nightmares of war and other disturbing images. She wonders if these are memories, and if so, they certainly don't fit what she's been told by her husband and doctor. Emma doesn't know who to trust, she's not even sure she can trust her own mind or the flashes of memories that she gets from time to time, or the voice in her head that warns her not to tell anyone anything. From the beginning, I was very quickly hooked. Emma's voice is compelling, drawing the reader in so that I was as frustrated and confused as she was trying to figure out what was going on and why. Not to mention wondering how this dystopic society came to be. It was interesting learning things alongside Emma because since she remembered barely anything, not a lot of explanation was given for what brought the world to this point. That was one of the only negatives for me. I am left with so many unanswered questions! It's easy to sympathize with Emma's character while at the same time become so frustrated with some of the decisions she makes. As far as romance, I'm not sure I would call it insta-love considering the situation, it was a bit uncomfortable since the whole time she (and I) had misgivings about whether or not Declan was genuine. Also, he was quite creepy, controlling, and stalkerish. And there is a bit of a love triangle, but it's quite twisted as well, so it's not the average love triangle that annoys me so much. The plot reminded me of a cross between Before I Go to Sleep and The Program but with much more suspense! The secondary characters were very much in the background and it was more about Emma's thoughts about them and interaction with them than finding out enough about them to get a good grasp of who they are. But even though I would have liked more details with the characters and the world, I can't say that I'm at all disappointed with the book. The audio narration by Khristine Hvam was well done. I admit, I was so immersed in the story, that I didn't pay close attention to how the narrator sounded, but I guess the fact that I was able to lose myself so completely says that the narration was solid. I cannot wait until the next book in the series, Prototype, is available! This is a series I will DEFINITELY be continuing. The ending of Archetype wasn't exactly a cliffhanger, but I am still left wanting much more. I would highly recommend this to fans of sci-fi, suspense, and futuristic reads. best of 2014 dark-and-disturbing dystopian-or-post-apocalyptic its-the-end-of-the-world-as-we-know read in 2014 received-for-review sci-fi Wow. This was SO much better than I was expecting!